The heart has a sac around it called the pericardium. The purpose of this sac is to protect the heart from the structures that surround it. Inside the sac there is normally a small amount of fluid evenly spread in a thin layer around the whole heart. This fluid around the heart is known as pericardial fluid and basically acts as a lubricant to allow the heart to pump and turn with minimal friction. I’ll use the terms fluid around the heart and pericardial effusion interchangeably throughout this article so you become familiar with the terms. How does Excess Fluid Around the Heart Develop? There is normally a small amount of fluid around the heart (small pericardial effusion). This is produced by the sac around the heart and is an important part of normal heart functioning. Excess fluid around the heart is known as a pericardial effusion. But where does this excess fluid come from? Often, when the heart experiences inflammation (known as pericarditis) extra fluid releases and collects within the sac. It is also possible for blood to fill the sac during or after trauma, surgery, or complications of other heart procedures. Blood around the heart is known as hemopericardium. The fluid around the heart is usually continually produced and drained, so the level stays constant. Sometimes in patients with heart failure, high pressures within the heart cause the fluid not to drain properly. The body, however, continues to produce pericardial fluid, leading to excess fluid around the heart (chylous pericardial effusion). The most common cause of pericardial effusion is inflammation of the lining around the heart. In most cases, the exact caused is never found. In other cases an autoimmune reaction – where the body attacks its own cells – is the culprit. This is primarily seen in conditions like lupus and rheumatoid. Some drugs have also been associated with the development of pericardial effusion . Another caused of excess fluid around the heart is kidney disease (uremic pericardial effusion). Finally, it is relatively common to see small amounts of excess pericardial fluid during pregnancy. A bloody pericardial effusion is typically a more urgent issue and is seen as a result of blood leaking from inside the heart, or from the large vessels that leave the heart. Causes may include heart muscle tearing during a heart attack or a tearing of the great vessels leaving the heart (an aortic dissection). More rarely, a bloody pericardial effusion can result from the presence of cancer cells in the lining around the heart. In these cases, cancer typically originates elsewhere in the body and invades the heart. Imagine the sac around the heart (pericardium) to be like a hot water bottle that’s the shape of a heart that allows for a small amount of fluid to be there acting like a lubricant. If there’s a sudden, significant increase in fluid around the heart, the sac doesn’t expand. Instead, the fluid compresses the heart, as the pressure inside the sac are greater than the pressure inside the heart. This renders the heart incapable of filling with blood, essentially causing a shortage of oxygenated blood. This process is known as cardiac tamponade and can be life threatening. Cardiac tamponade only occurs if there is a sudden and significant increase in pericardial fluid or if there is a very large amount of fluid collected over time. Interestingly, it can be more dangerous for just 50cc of fluid to collect rapidly, than for 1 liter of fluid to collect over time. Why is this? When there is a slower accumulation of pericardial fluid over time, the sac around the heart slowly enlarges to accommodate the fluid – something it cannot do if there is a sudden increase. Effusions involving blood are often emergencies, because the blood may leak into the sac at high pressure. When I drain these effusions, sometimes patients are surprised that such a small amount of fluid could cause such a big problem. Other patients are amazed such a large amount of fluid (often liters) wasn’t causing noticeable problems. The main way to assess a pericardial effusion is an ultrasound scan of the heart known as an echocardiogram. The echo helps quantify the amount of fluid around the heart, tells us how the heart is handling the excess fluid, and determines what action must be taken. Sometimes features on the echocardiogram help us determine the fluid type, i.e. blood vs. other. Pericardial effusions are also commonly picked up on CT scans. CT scans are useful for determining the amount of fluid around the heart; however, echocardiograms are more effective for understanding how the pericardial effusion is affecting the heart. The treatment for pericardial effusion depends upon the amount of fluid surrounding the heart. Generally, patients with pericardial effusion are broken into three groups; mild, moderate, or large (cardiac tamponade). Unless it has occurred rapidly and led to unstable symptoms, mild pericardial effusion is usually found by chance on scans performed for other purposes. Typically a mild effusion will require no specific treatment for the effusion itself. Instead, the underlying cause is treated. The presence of an effusion may alert the physician to perform various tests to identify a cause and rule out more serious causes. For example, if the effusion is attributed to lupus, the effusion will probably resolve with treatment of lupus. The same may apply to any cause. Typically a follow-up scan is performed to ensure the effusion has resolved. Sometimes the fluid is drained and sent for analysis. The management of a moderate pericardial effusion depends on the individual case, its effect on heart function, and the presence of symptoms. In some cases, especially when the underlying cause is known and there is no significant effect on the heart function, the effusion may just be monitored over time with echocardiograms. If the effusion persists, grows larger over time, or causes symptoms it may need to be drained. The cardiologist in charge of the case will typically make this decision. Large effusions will typically be drained. After the excess fluid around the heart has been drained, a drain may be temporarily left in place to ensure further fluid does not accumulate. In some cases, particularly when effusions recur, a hole is made in the sac to allow continuous drainage. Effusions themselves don’t cause chest pain; however, effusions associated with pericarditis – inflammation of the sac around the heart – may be associated with chest pain. When do we drain the fluid around the heart? In general there are two indications to drain pericardial effusions. First, doctors remove the fluid if it is affecting heart function. Second, doctors will drain fluid around the heart to test the pericardial fluid in a lab and determine the effusions’s cause. How do we drain fluid around the heart? There are 2 main ways to do drain pericardial fluid. The first is a minimally invasive procedure – known as a pericardiocentesis – that involves passing a small tube through the skin into the lining around the heart. The fluid is drained through the tube, and a drain can be left in if required. The second is a surgical procedure that involves making a small incision underneath the breastbone. As in a pericardiocentesis, a tube is used to access the pericardial fluid, often making a small hole in the lining of the pericardial sac known as a pericardial window. The window will generally stay open over time, allowing constant drainage of the fluid to prevent accumulation. The less invasive pericardiocentesis procedure is usually tried first. Often the drain is left for up to a few days to see if the fluid builds back up. If the fluid continues to accumulate, a pericardial window procedure can be considered. Sometimes an immediate surgical approach is required, particularly in emergencies when a bloody effusion is caused by a rupture of the heart or the great vessels itself. 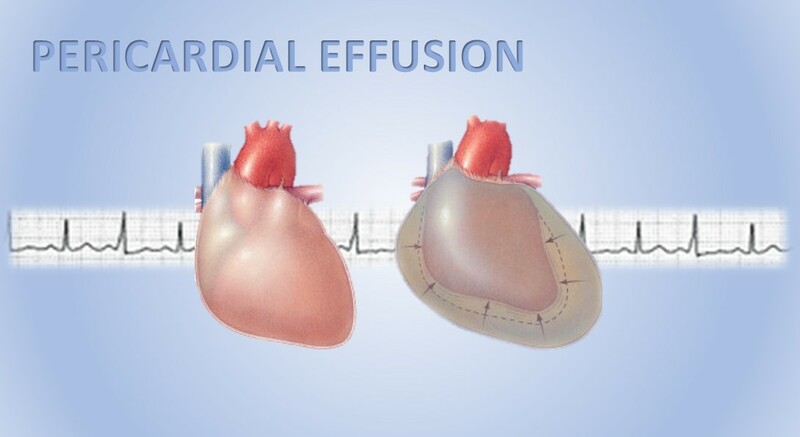 How big is the effusion and is it affecting the function of the heart? What is the cause of the effusion? If the effusion is felt large or significant enough to be drained, what is the way in which this will be done, and what is the plan if it should come back? Finally, what is the long-term treatment plan? What Does An Echocardiogram Show? Its interesting but we often aren’t able to identify a single cause. The pain is die to inflammation of the sac surrounding the heart, a condition known as pericarditis. In terms of follow up, surveillance to ensure no new development of symptoms such as dizziness, and ensuring the size of the effusion is stable over time is important. 2 causes that spring to mind are sternal wire related pain and pericarditis which is inflammation of the lining that surrounds the heart, if the pain is significantly affecting you it can be addressed. I suggest seeing the surgeon that performed the operation and discussing. Hi” Doctor It’s me again Jasmine I been to three hospitals since the last time I spoke to you and they’re telling me that I may have nerve damage I’m still having pain it feel like someone is punching me in my ribs I wanted to go to Deborah heart hospital what should I do please help me. My husband had a pericardial effusion in April. While draining it off, the very agitated doctor punctured his heart and he started bleeding profusely. They had to crack open his sternum and stitch up the heart but he was in terrible pain for 6 weeks. Is this a common error? It is not common, however it is a known risk. Hi Doctor, I’m 30 weeks pregnant and my doctor just told me that my baby has fluid around his heart. What can happen because of that? Depends on the amount of fluid, its effect on heart function and why it occurred. That’s wonderful to hear & a Blessing for such a young person. As a senior I’m about to see my cardiologist for fluid around my heart I wasn’t even aware of. After having a CT scan for something else it was discovered. I hope I have the same success. Good luck to your son. I had the same problem and spent a fortune with the cardiologist who then sent me to a pulmonologist who discovered that I had an allergy . I was allergic to tea! just left emergency yesterday told small amount of fluid around heart , I have factor 5 and they injected the dye and was cleared of clot and told this , and to follow up with a cardiologist. Yes it took a couple trips to the emergency room. Hasn’t anybody heard about nutrition?A good diet is very important. We know vitamin E complex full spectrum E is good for many things including more oxygen,fighting free radicals, and the heart muscle,etc.There are good multimineral liquids.Vital.A good multi food form – food state- food bonded, are some of the terms used for true all natural vitamins. I enjoy Adelle Davis,MSc.,USC “Lets Get Well” found now on used book sites even Amazon. Surgeon attempted to add a third lead in prep for a new 3 lead icd. In doing so, he put a hole through the heart muscle into the pericardium. What is the treatment for this? A lot depends on the way it heals. If there is no damage and no persistent effusion it may be left alone, if there is persistent complication it may need to be removed. I just had CABG X4, on Feb 29th, 2016. I was discharged 7 days out and re-admitted on March 9th. 3 days later, the Surgeon drained 1400 mililiters of fluid and 4 days later on March 16th, 1250 milliliters were drained. I was discharged on March 17th. I feel as though I have fluid building back up. How likely is this? If you had surgery then collection of fluid would be odd as your pericardium has been opened and so should essentially drain on its own preventing fluid building. Sometimes leakage of blood can occur in pockets leading to a localized collection of fluid. Are you sure you aren’t referring to fluid in the lungs? Build up of that can be more common after surgery. How are they going to drain the fluid? My son-in-law had a large amount of bloody fluid removed from the heart sac last Sat – so much fluid that the right ventricle was collapsing. Cause unknown as of yet; what is most likely cause? I have been diagnosed with pericardial effusion. They believe the cause is because of my hypothyroidism. However, the last couple of days I have been in alot of pain in my chest area. They said it was the inflammation. Which they said would happen. How much pain is to much pain and when should I go back to the hospital? Its not really safe to answer this without seeing you and i would recommend you call the dr looking after the case. With the chest pain you are having i suspect that pericarditis is the cause which is the inflammation. In terms of the effusion itself, symptoms of concern would be dizziness, passing out, low blood pressure, light headedness etc. Its also usual to have 2 scans in a close time period to ensure no significant enlargement or change. If you are worried, speak to a medical provider rather than take a chance. If there is a pericardial effusion that is large enough that it needs draining then a surgically placed pericardial window is generally a relatively low risk procedure and the effusion wont recur. It depends why the effusion is there and that needs working up fully. If pericardiodentitis done….have chance to come again…..
My friend’s 25 year old son had an aortic valve REPAIR (not replacement) for congenital aortic bicuspid valve and aneurysm. 10 days post op and now they drained 1000 cc of old blood from the pericardium and have drain to monitor. They said this complication had a low probability of occurence 🙁 They said the echo showed it is not a leak. How can blood accumulate without a leak? Could it be an inflammatory response ? Thanks! Its difficult to know without knowing the specifics. Effusions can occur for a number of reasons however less likely after heart surgery as the sac around the heart is already open. It depends on the type of blood that came out. If the bleeding doesn’t stop and the drain output remains high he may need to go back for a re-exploration to ensure no residual sourced. My son had valve replacement 7/13/16 and was found to have a pericardial effusion on 7/25…had 300cc drained on 7/27 and the drain was able to be removed in almost 24 hours. How long after removal of the tube should he feel more comfortable and feel like he can breathe easier? He feels like with in a few days after the open heart surgery he was better than after this procedure. It depends on the cause of the pain, if it is pericardial pain from inflammation it may take a few days to settle down with appropriate treatment. If he is in pain, and it is felt to be related to possible pericarditis, he may need to be on good doses of anti-inflammatory medicines to improve things. I have been admitted for pericardial effusion and drained it. All the lab checks did not prove anything wrong with my body including TB virus. But the the doctor told me to begin AKT along with steroids for one month. He said virus is one of the reason for this so its better to have it. Five days back only I have seen this site and realised very informative. If I would have seen your site earlier then I would have not started the AKT. Now he said I have to continue it for nine months. Is it necessary? ए के टी जरूरी है ? My father (aged 66, end stage kidney failure) diagnosed with pericardial effusion (ranging 1.2-1.5cm by echo) due to pericarditis and sepsis. The Dr said pericardiocentesis is not needed at this moment. The fluid would eventually goes off through regular dialysis. May I know is this true? My father has no other symptoms except general weakness. I would ask them what the indication for drainage is, is there an effect on the heart function? My 17 year old daugher who used to be active and cheerleader and healthy looking now looks tired and sick and sleeps a lot and she is pale and skinny and fragile. She caught mono last year and has never been the same. They have since done about 4 ultrasounds of her heart and they all show fluid around her heart. We’ve had couple of trips to the ER due to the amount of pain on the left side of her chest. Her knees hurt to move them and she gets dizzy sometimes when standing. She also gets migraines and when they told her to take motrin to help with the fluid around her heart it triggered her to have a migraine. They also have her a prescriprion style and it did the same. Please help her I feel like we’re going in circles and not getting anywhere but the same test over and over but nothing to help her. Hi Leslie, in this case the fluid around the heart appears to be the result of a systemic process that is causing these symptoms. The fluid is almost certainly not the cause. She needs an extensive work up for systemic illnesses. I suggest seeing a specialist infectious diseases or a well known internal medicine specialist. Can fluid around the heart cause it to stop resulting in death if left untreated? Yes but only if the fluid impairs the ability of the heart to function. In some cases i have taken over a liter out and although it was a lot, the heart was handling it fine as it had likely had a long time to accommodate, in some cases i have had to take a little as 100ml out emergently since its rapid accumulation led to compromised heart function. It differs in every case. Th echocardiogram and in some cases right heart catheterization are very useful in determining significance. Not every effusion needs draining, many can be surveyed over time. I just picked up the death certificate and the cause of death was asystolic cardiac arrest. I was thinking it was pericardial effusion due to his symptoms and the fluid that the doctor mentioned. I’m not sure what asystolic cardiac arrest is but will research it. Thank you for your time and help! Yes, small or moderate effusions are often not considered clinically significant and don’t need draining necessarily. Serial echocardiography is performed to ensure they remain stable over time and don’t grow or change in character. My friend has told me he has fluid on his heart but will not tell me anymore information about what the doctors have said and is bottling it up. After doing research I can see this could be quite serious. He has a follow up appointment in 4 months. But I feel there is something he should be doing whilst waiting for the appointing I.e. Resting, not drinking, not smoking and on medication please could you advise? It depends on the cause of the effusion. Can you check whether it is fluid on the heart or fluid on the lungs? What if it is fluid on the heart which a family member has just been diagnosed with. The fluid was bloody. Am a little confused. Should we be determine the cause of the extra fluid and why it was bloody or both? Can you share causes of bloody fluid even after lab results were all negative (not sure what actual lab results they did). Which also leads me to asking what lab tests should’ve been done. Thanks very much. A lot of potential causes really but if the extra fluid was bloody and all lab results negative then its likely a small blood vessel was causing the blood in the effusion from the tap. Lab tests include cultures, gram stain, cytology, ldh, viral assays, protein, etc.. they are pretty standard and sent in most cases so i wouldn’t worry. A stress echocardiogram was done 10/16/06 for nocturnal tachypalpitations. At that time no pericardial effusion was mentioned. And it was recommended I continue with prophylactic antibiotics for mitral valve regurgitation. 10/27/16, I was asked to wear a holter monitor and the result from that was normal. In 8/09 and 9/09, a small amount of pericardial fluid, indeterminate, was noted on abdominal ultrasounds. I saw the same cardiologist again in 10/09, for fatigue, and dyspnea. A small, localized, hemodynamically insignificant posterior pericardial effusion was noted on the echocardiogram this time. January 21, 2010, I had another abdominal ultrasound and again a small pericardial effusion of indeterminate significance is noted. Since then, every abdominal ultrasound I’ve had, continues to show this pericardial effusion. This is a very sad story of how people can be missed diagnosed and I was. My current PCP doesn’t think this is an issue but my Integrative Medicine MD does! I am upset that no one really looks into why this is a continual finding except the Integrative Medicine MD. There’s a reason this is happening. I had a bacterial overgrowth, SIBO, that was misdiagnosed that lead to permanent damage to my gut lining. I have a fungal overgrowth in my tissues that I know started in my gut due to overprescribing of antibiotics growing up plus never being breast fed. I have had benign tumors on my thyroid, elevated ANA’s (false positives for lupus, etc.) my gall bladder died inside and the PCP never referred me to a GI doctor until 3 years after my symptoms began, I have/had chronic indigestion, my liver enzymes are chronically elevated, chronic leaky gut, the is list goes on. I believe the issue is from chronic digestive infections in the gut because I am not able to balance my gut flora anymore, plus this problem is contributing to the leaky gut and autoimmune disease. I can’t have gluten or any food that’s inflammatory to my gut. The bone pains occur especially after taking an antibiotic. I remember before 2006 taking NSAID’s, motrin, advil regularly and I know too this was irritating the gut. I just wanted to know why my PCP doesn’t refer me to a cardiologist when I asked him about this chronic problem….wouldn’t the cardiologist get to the bottom of the small pericardial effusion? I would appreciate any feedback. Thank you. I recommend a rheumatologist input also. The small effusion itself is a manifestation of the systemic disease and not a primarily heart issue. Serial echocardiography repeated at determined intervals can ensure its stability. Otherwise the input from a cardiologist would be minimal at this point assuming the rest of the cardiac function is ok.
Hi, what should be the frequency/intervals of echocardiography incase of pericardial effusion? It depends on the size of the effusion and the clinical history. Since 9/2009, there’s continual mention of a small pericardial effusion on my abdominal ultrasounds. I have been ill since then. Why doesn’t the PCP investigate this? I have had 2 echoes and both show this pericardial effusion. I have elevated ANA’s, digestive infections, SIBO, chronic fungal infection due to getting a candida overgrowth from taking numerous antibiotics and never being told to take probiotics going back to 1990. I am concerned that western medicine doesn’t acknowledge or understand the why this is happening. Whereas my Integrative Medicine md is very concerned as to the cause. My PCP just laughed at me…they don’t look at the cause and don’t even ask what my prior history is prior to me coming to them. Its been a long road since 2009, health wise for me…real eye opening road. I have a damaged gut lining from a misdiagnosed and untreated bacterial overgrowth..very sad…that didn’t help with me getting a fungal overgrowth which started in the gut (hyphal fungus) and is now in my tissues throughout my body. So so sad. I just wanted to know if I should see a cardiologist again to see if he could determine the cause. I would appreciate any feedback. My mom is recently diagnosed with mild pericardial effusion. She was given Lasix for 2 days and medicines for 10 days. Now it is 3rd day. From the day 1 after the treatment she feels completely alright. But swelling of legs havent reduced completely. Is this curable. Cardiologist requested to check in the hospital anytime if she vomits r has chest pain. Is it related to heart failure. She is just 47. Much worried. My brother was hospitalized for pericardial effusion. They drained the fluid last week due to tremendous pain. Four days after leaving the hospital he was in extreme pain and was taken back to the hospital where he was diagnosed with more fluid. He is currently in the hospital on pain medication. I am worried and wonder if this pain will ever subside? The pain you have is pericarditis, this can be treated and should be bought to the attention of the treating team. It depends on the underlying condition that caused the effusion, if it has been treated then the effusion may well not recur. I was diagnosed with the pericardial effusion when I was 5 years old. It was a serious surgery done by the cardiologist and now I’m 25 years old. But sometimes I feel acute pressure and mild pain in my heart. Doctor please tell me that whether it will reoccur or not ? And what are the causes behind it’s reoccurrence ? My husband is on dialysis for last 8 1/2 years, he has a fistular on left hand, he had fluid drained last June, don’t know how much, was in a lot of pain on the right side of the heart after surgery until end of August, all tests didn’t show anything. After surgery heparin was on hold during dialysis, flushes of saline was used instead. This past week he was put back on Heparin. He is also blind in left eye, for the last 14 1/2 years, small % on right eye, he thinks he is being attacked by bugs on dialysis chain, he feels they sting him. Two concerns please, is Heparin the caused of fluid build up at the “back” of heart? Can you suggest anything about dialysis patients or his side effect of being stung. What was the nature of the fluid that was drained from the heart? hi doctor one of my small cousin 6 years of age have pericardial effusion. if preventials are necessary mean what to eat & what to avoid? Very useful information gained from this article. I request you to please clarify further that how much amount of fluid accumulated for mild, moderate and large. There are many factors that determine this, not simply the size alone. Its not the amount of fluid, rather its physiologic significance that is important. I had a pericardial effusion 7 months ago and it was treated with colchisine and prednisone. the fluid has completely gone. Sometimes i feel a slight pain iny chest and shortness of breath but it usually goes away. When should i worry and go to the ER, what are the chances that it can come back? In general, an echocardiogram should be repeated after some time to ensure no fluid build up. The pain may be pericarditis, however i would recommend you seek a medical opinion at least initially to rule out other possible causes. Salams to you 🙂 I was diagnosed with Pericarditis in August of 2016 and they drained 50cc’s using a needle and catheter. I stayed on Colchicine and Ibuprofen 600 for 3 months post procedure. Since I stopped taking Colchicine I have not been feeling well at all. My entire left side always feels inflammed and wired 🙁 I went to the emergency room maybe 3 times since and they confirm everytime that there is nothing wrong and no fluid is building up. Can this be a permanent condition from piir recovery?? Or does it sound like muscle breakdown? It sounds like ongoing pericarditis, have you had a repeat echocardiogram and EKG? I would seek an opinion regarding treatment of likely ongoing pericarditis. My 12 month old daughter just received an echocardiogram for a heart murmur, the issue was found to be a small hole that will heal as she grows. However, they found a small amount of fluid around her heart, but said it was likely nothing, and they were not worried. Can you put my mind at ease a little more, and explain if this can be truly be somewhat normal? And what to watch for to see if it’s becoming worse? Thank you!! Ask – what is the likely cause of the fluid? how much fluid is there? is the fluid of significance in heart function? how often will the fluid need to be surveyed by imaging? I have a pericardial effusion, diagnosed 8 months ago after having an echocardiogram a few weeks after I was seen in the ER for abdominal pain. I had a uti at the time. I hadn’t had chest pain except for occasional twinges on the left side at that time. A week ago I had a repeat echo & was told I still have fluid around my heart but not as much as 8 months ago. I’ve had no more pain until the last few days. I have substernal & rib pain over my left side every night. I’m in pain after i get up in the morning but after taking an ibuprofen I feel better during the day. I have an appt. with my doctor next week. Should I be concerned I’m having pain every night & that this hasn’t resolved in over 8 months? I do feel fine during the day, I’ve had no tachycardia or hypertension. Could my pain indicate I have pericarditis as well as pericardial effusion? Thanks for any assistance. Your article was very helpful. Recurrent pericarditis is a possiblity, an EKG may help also, in some cases if other causes are ruled out the pericarditis is treated to see if there is a response. Following a large a precardial effusion I undergo two weeks ago , I am still feeling totally unwell and some days several chest pain , short of breath and total exhaustion, I am aware that some of the fluid around the heart is not fully drained and told the body will get rid of it, I am still concerned what could I do to treat this problem as I am due to see my consultant in two weeks . What was the cause of the effusion, were you given any medical treatment? how was the effusion drained? A great article – easy to read and understand. Has helped open up my mind further as I am waiting for the removal of the fluid next week. At lease now I have an idea on what to seek to know from the doctor. Glad you found it useful. My wife’s diagnostic (6/7/17) is idiopathic chylous pericardial effusion with tamponade. We went for her preop exams for her back surgery (L5) and that’s how the effusion was detected. She had no symptoms. She underwent thoracoscopic and mini thoracotomy approach to create a large anterior left pericardial window draining into the left pleural space. We are going Tuesday for another procedure to eliminate the fluid that keeps accumulating in her pleural space. Dr estimate over 1L in three weeks since the window procedure. Her heartbeat doesn’t go below 93bpm. When she was accepted in the hospital her bpm was 150. The chyle was peachy in color and all the lab work came in negative. Drs. are still puzzled over the cause. What should we do? Where is the best place in the US for a second opinion? Please help us. I’m really concerned. The approach to treatment of chylopericardium is through a chyle diet and pericardiocentesis, which is effective in over half of patients. If conservative treatment fails, surgical intervention and octreotide injections should be considered. In this case the surgical option has been done also which has the advantage of preventing tamponade. In some cases of strong recurrence anomaly of the lymphatic system may be sought and tests such as MRI and lymphangiograms performed to see if further treatment options are available. Im not sure of the ‘best place in the US’ for this but i would recommend a facility with strong collaboration between thoracic surgery, cardiac surgery and cardiology. What was the cause. At some point you should have a repeat scan to ensure the stability of the effusion. I am a 33 years old female . At the age of 26, I started to suffer missed beats and shortness of breath. I was diagnosed then to have a mild prolapsed mitral valve. I get the symptoms only at times of great stress, pressure or insomnia. Only last month I started to feel shortness of breath during exercise , an unusual exhaustion and fatigue in addition to increased irregular palpitations any time during the day… I thought it might have to do with my chronic nasal sinus problem that started 2002. I thought it is anemia, but I checked and it wasn’t low, and still I take iron supplement. Yesterday, the echocardiogram showed I have a trival MVP and a 6mm posterior pericardial effusion. Is that something I should worry about? I want to resume my normal routine, get rid of this fatigue and resume morning workout.. I am not an athlete.. Only a regular woman excising for an hour on average thee – four days a week. You have a small effusion which is not likely problematic in itself. You should likely have a repeat echocardiogram at some point to ensure the stability of the effusion. The mvp is not a cause for concern. When I was 18 I was diagnosed with Mitral Valve Prolapse. Since then I regularly have echo cardiograms done to check on it. This past March at 49 years old I had my echo and was told I have a small pericardial effusion. They said not to worry come back in three months to have another echo. A year before this I noticed it was getting harder to exercise. I figured it was my age. I went back in July for a stress/echo test. The pericardial effusion stayed the same but my heart rate was very high for just walking on the treadmill. I explained to the doctor that I have always been very active, worked out 7 days a week since I was 21, rarely missed a day and pushed myself hard.I told him I’ve significantly had to slow down which is not normal for me. He brushed it off and told me I’m fine and that was it. During this time I had started with a cough, feeling like I always have phlegm in my throat. I figured it’s just allergies. (even though I’ve never had allergies) I mentioned it to my doctor but was told everyone has to clear their throat. The feeling in my throat has gotten worse, my voice is raspy all the time. I tried again asking my doctor and was told if it persists to call back. I then called another PCP and got in yesterday. He said he thinks this could be due to the pericardial effusion. He was shocked to learn that they were not looking for the cause of it. He put me on an antibiotic and sent me for blood work and a chest x-ray. My question is: Is it normal to be put on an antibiotic for this? I don’t know who to believe anymore. I just want to go back to normal. I don’t exercise at all anymore, I have no energy and just want to sleep all the time. Please help me. Let me know if this is the right treatment. The pericardial effusion itself is not causing the symptoms of sore throat etc. It is possible that whatever is causing the effusion can be causing those symptoms if it is felt to be some form of systemic process affecting the body as a whole. Alternatively it could be entirely unrelated. In general a pericardial effusion is not treated with antibiotics, rather i suspect that was started for the sore throat. It reasonable for a systemic work up to be performed to rule out any systemic underlying cause of effusion. While climbing I have breathing problems as well as doing hard work. Eco taken and found pericardial effusion .76 cm. What is the remedies and precaution. Please let me know. Anxiously waiting. That is less than 2 cm, it is moderate in size, The question is how fast did it occur and is it causing symptoms. There are several echo features that can point towards the significance of an effusion and the need for action. Many effusions can be watched and may resolve with monitoring or treatment of the underlying cause. If there is no urgency felt in terms of the effusion its important to investigate for underlying causes of the effusion that may well be the cause of any symptoms present. I had a routine trans thoracic evhocardiographic study yesterday due to chronic af. Have them done once a year. This time it showed a small generalized pericardial effusion. My cardiologist of 40 years was not concerned. I have no symptoms. I am very concerned. Would an echo show normal fluid. I will see him routinely in 3 months. Thank you. A small effusion is not a dangerous finding however the cause of the effusion should be somewhat investigated before it is considered totally a benign finding. also it should be monitored at chosen intervals to ensure its stability. Hi Doctor Mustafa. I went for a heart scan and the cardiologist said I have a 3cm pericardial effusion.. My leg is swollen and have sharp chest pains.. What do you advice me to do. 3cm or mm? if 3 cm, that is a large effusion, what was the cause given? such a large effusion may need consideration of drainage. Hi Dr. AhmedMy name is Rose last April I wad told I had fluid around my heart. In August of this year the fluid is back around my heart. I was place back on Colchicine. My question is what calls pericardial to come back. It really depends on the underlying cause, if there is a primary systemic process that leads to the effusion (such as thyroid, renal, lupus etc..) then if that flares up it is possible for the effusion to flare up again. Thanks for the info. My 65yo mom has been hospitalized since 10/02, first for valve replacement, and continuing for numerous issues. She’s arrested twice, has 2 femoral paths, pik line, 15 bags hanging, tubes everywhere, etc. Today, 24 hours after they lessened sedation, breathing tube still in along with feeding tube, they rush her into the OR because of blood pooling around her heart. They are trying to get her heartbeat under control with meds, doctors said if it doesn’t work, she’ll go back under the knife. Their last words were that her heart is not doing good and that there’s not much more they can do. Your explanation cleared up a lot of my questions. Thank you. In August i had a CT Scan for an issue in my abdomen. I have since had surgery to correct this issue, which has left me with nerve damage. My surgeon referred me to pain management for nerve blocks. It was never mentioned to me, but this doctor told me the initial CT Scan showed a pericardial effusion. He has also referred me back to the surgeon for surgical management of a very large amount of fluid in my belly. I haven’t gained any weight but my pant size went up 2 sizes. I thought my stomach was just disfigured from the surgery. This pericardial effusion was never mentioned to me by any of the doctors i saw until now. I have regular echos and will have another one in a couple months because I have severe aortic stenosis. From your article, I believe it may be heart failure or lupus related. I assume since it was never mentioned to me it’s not a big concern. I have not seen my cardiologist since this. My echos have never shown this before. I tolerated the first surgery well. They may not be concerned, but I am a little. Is this just expected findings in some one with a sick heart? 4 weeks ago I had a cardiac ablation due to A-Fib. The cardio physiologist that performed the procedure micro perforated my heart, which led to pericarditis. After Echo it was determined that the fluid built up and I was given a Pericardiocentesis, felt ok for 2 weeks and now I’m feeling chest pain again .Can the Pericarditis return and what would the treatment be? Its possible it can return, it depends on the underlying cause. If it returns, an EKG and echo are needed, the treatment will likely include an NSAID (such as indomethacin) and colchcine for a more extended period. Hope he’s doing well! Effusions can happen after surgery and it seems like he has had the appropriate treatment. Thanks for the great explanation, my mom is diagnosed with mild pericardial effusion and I was very worried. I would be great if you can help with precautions and diet that can heal it better. Actually Doctor prescribed 5-6 medicines to her for 6 months and she is feeling weak with those medicines. I am really very worried if those medicines are good for her. Please share your email ID if possible, I would like to consult with you. I will share her reports and prescription with you. Diet does not necessarily play a role here.The important thing is to investigate the underlying cause of the effusion and treat that. The effusion should be monitored over time for size. I have recently had a CT Scan. On it they said I have a pericardial effusion up to 13 CC. Would you consider that a mild, moderate or large effusion? Could you also tell me your scale of each? That description alone isn’t helpful, 13cc doesn’t make sense, do they mean 1.3cm? An echocardiogram would be the next logical step. I recently had anti-coagulation therapy for antiphospholipid syndrome with warfarin & heparin. Due to a bad reaction to both of these medications I was admitted into hospital. My chest cavity had swollen with the fluid so I was given half of a duretic an xray and a dopler scan kept in hospital for five days before being discharged. On my discharge I was prescribed heparin injection but I had a similar reaction as with the warfarin. I became extremely swollen and had severe chest pain and a heaviness in my chest. The pain affected my right shoulder and I could barely lift my head due to the pain in my neck. Since these episodes I have a feeling as if a tennis ball is lodged high up between my breast bone, pain in my chest and back. I am once again feeling disorientated, off balance and my hands and fingers at times do not seem to function. I have battled with my consultant to refer me urgently to cardiology which he has now done . There is a ten week wait to be seen ! I am obviously very worried that what I am referring to is pericarditis. I have various autoimmune diseases, lupus, sjogrens, hypothyroid and hypoparathyroidism so feel I have good reason to be worried. Hello I am 30 years old I was recently told by an er doctor that I have moderate pericardial effusion my question is if they have to drain it are you awake or asleep? I do have heart palpitations almost everyday I’m a little concerned about this diagnosis to be honest and I’m being seen by the va so I’m not at all comfortable with them any helpful advice is appreciated thank you! Not all effusions need draining, in general only relatively large ones. With regards to drainage it depends on the method used. If needle pericardiocentesis is used then likely some sedation will be used, if a surgical window performed then general anaesthesia will be used. The symptoms sound generalized and its not really possible to pin down the cause with this information. Its possible some of the tight chested feeling could be related to inflammation around the heart and its possible that is treated. I would make an appointment to get these issues checked out. My mother in law 52 years had Pericardial Effusion and drained all bloody water from heart. Tested this blood but all negative and normal results came. Still 200ml remains in the heart as its very thick. What will be the next step and Is there any life risk ? Can this be drained/removed with medicine? Do we have to drain water often. What is permanent treatment? Next step is surveillance echocardiography to ensure o more build up of fluid, and to evaluate to see the underlying cause of the effusion so that can be treated appropriately. I had the pericardial sac removal from around my heart on the 6/3/18 I’m still getting breathless when I go walking,please advise Thanks. You need the result of the surgery and your symptoms evaluated by a specialist. I recommend getting this looked in to. In this setting, its not really possible to give info without knowing the situation, tests, and other info. Lets see what the cardiologist says. What drugs are possibly known or thought to cause pericardial effusion? Zonisamide one of them? Physiologic pericardial effusion typically means that it is normal and tiny. That would not explain shortness of breath. Concerned about my other half… He was diagnosed with Pericardial Effusion June 3rd. Underwent Percardial window surgery the next day, draining over 1 Liter of fluid. It is now September and his left breast is still quite swollen and extremely tender. (Incision site just below left breast & drain hole below incision. Both well healed.) Everytime I go to hug him, he grabs my arm to protect it and keep me from bumping his breast. Any idea why this is still infammed and so sore? Please tell me this isn’t normal. What do you suggest? I would start by seeing the treating surgeon and checking the wound etc. That isn’t normal although not necessarily anything immediately concerning. good morning doctor. i had rectal cancer surgery about 3 years ago. have a permanent colostomy. aprox 6 months ago began experiencing several bowel obstructions. subsequently found some return of cancer. another surgery for a bypass recently had caused the obstructions to cease. i am starting chemo again in 2 weeks. recently had severe swelling in legs, ankle , scrotum and lower body. echo and e k g done. large amount of fluid drained( 1400 ml) subsequent echo shows no return of fluid.. test of fluid was negative. still have left leg pain and skin rash. pain in leg is sometimes intense. doctor is going to do doppler. am on water pill currently. please share your thoughts. thank you! My mom 52yrs old was diagnosed with mitral valve prolapse and mild precardial effusion.is this prolapse can cause effusion or it can be due to other causes ? 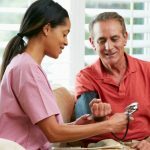 I’m a 60 y/o African American female who was diagnosed with CHF 6 years ago. I had an ICD procedure to monitor my heart. EF was about 18% when the initial diagnosis was made. Over the years it has slowly increase to 40%. My last echo done 3 months ago showed a little fluid around my heart but my cardiologist was not concerned. Just recently, I have started to wheeze when laying down to sleep and shortness of breath. I have appointment to see him in a few days. My question is — does the ICD transmission indicate when there is excess fluid? I was told that it should. The ICD doesn’t monitor fluid around the heart. Some may be able to monitor pressures in the heart to some degree. Last December when I was 32weeks pregnant, diagnosed with pericarditis and hospitalised and drained the fluid . Doctor told it may be because of some food infection as well as they told I have pulmonary TB infection and gave 7 tablet n told to continue for 3 months.Meanwhile I got delivered with no complications and continued TB infection tablet till April.After that taken EKG and they told no fluid around the heart everything looking fine.before 2 months I got left shoulder pain but no other symptoms I faced like December.Still I requested doctor to take EKG.Result everything fine.shoulder pain due to taking baby in hands for long time n no strength post pregnancy.Taken calcium tablet shoulder pain went off.. Yesterday again I got a shoulder pain .I feel fear whether again I got pericarditis.My question is now I have take EKG?Is there any chance for fluid to come back?whether fluid will come back again n again?My fear is eating me. Can you go and see the dr to have this evaluated and provide reassurance? My son just had to have fluid drained from around his heart and now has to take medication but that’s about all the information he will give anyone. He hasn’t said how much fluid they had to remove or what the test results where. The only information he will give is he had to undergo an in and out surgery to have fluid drained and that he has to take medicine for it and that they don’t know how long he has had the fluid and it could’ve been caused by a hard impact to the chest, so could someone tell me more on this and how serious is it and why he would have to take medication from now on. Im a 41yrs old woman I went to the hospital for pain in my side which was muscle spasms & they did a CT Scan & by accident found out I had fluid around my heart they said it was Precardial Effusion they drained it & got 500mL off of me & I started taking Colchicine once a day & a antibiotic called Azithromycin for 5days because my regular Doctor thinks my ear may be a ear infection. I would recommend that you have a monitor placed to characterize the palpitations, this can be arranged through a primary care physician. 1 week later I was rushed to resist with pericarditis. After 2 weeks in hospital I was discharged but the following day couldn’t breath and collapsed. My wife took me to another hospital which scanned me and sent me for emergency effusion 1.5 litres was removed. Can 1.5 litres accumulate overnight ? Yes depending on the cause. Such a rapid accumulation would typically result in the need for emergent drainage. Hi! A couple of weeks ago I was placed in the ICU with fluid on both lungs and my heart. I had a drain placed to remove the cardiac effusion, and the procedure went well even if I was poked in the ribs a couple of times. Not very pleasant. But just moments after they were finished, I was struck by an almost unbelievable pain in my neck and shoulders. I can’t remember anything more of that day because I was so out of it. So my question is really, is this a possible side effect of having a drain placed? Thank you! Sounds like a nerve may have been involved temporarily when placing the drain. Not uncommon. A CT scan to rule out another issue showed a 1.1cm fluid around heart. How much more than ‘normal’ is this amount? Is it a concern? Its not possible to comment if it is a concern or not, it does however require investigation and surveillance. Your article contained more helpful information than I found anywhere online. I am grateful to be able to ask your opinion on my recent diagnosis of not only Pericardial Effusion but Bilateral Pleural Effusion by Echo yesterday. 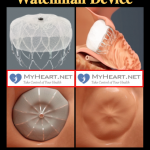 I am 65 and on 1/28/19 I had my aortic valve replaced for stenosis with a bovine valve. I expected to be in pain but I was shocked with the severe pain. My shoulders hurt so bad on the top and I could only take very shallow breaths due to the pain when trying to expand my lungs with every breath. I believed this was a common occurrence because that’s what I was told for many reasons like lying in one position for so long. I was sure they had tilted me back and shoulder supports caused this. (I later asked and found out my arms were by my side and I was flat so that blew that theory. )They were able to get my pain to a manageable level and I was breathing better so I went home on day 7. I have had a slow recovery compared to what I have read of others experiences due to continued shortness of breath and the pain with breathing which delayed my starting rehab. By the 6th week my chiropractor had most of my physical ails straightened out and the breathing pain seemed to be getting better but I still had to take Tylenol 1000 mg 4 X daily and oxycodone at night because it hurt so badly breathing when lying down at night. My cardiologist explained about autoimmune issues causing Post Cardiotomy Syndrome but my Sed Rate and CRP were normal. I continued with this issue over the next month with improvement so when I saw the surgeon’s PA 3/6/!9 for left sided pain under my rib anytime I coughed, sneezed, burped or breathed deeply. He prescribed Gabapentin for nerve pain for 3 weeks which took care of that thankfully. He said that by April 1st I could do anything I wanted and not to think that there was anything wrong with heart. I noticed a few days later a burning type pain when I inhaled and soon the pain on inspiration was back but not as severe as before. I had gone out of state so couldn’t see my MD and I went back on the old pain pill schedule and after 3 weeks it seemed almost totally better. I came back to CT feeling so much better than when I left except for continued mild shortness of breath, but even that was better. My second day back I did some vacuuming which I thought went well but that night I felt the same pain in my shoulders as I did postop again and thought I had overdone my cleaning. By the next morning however I was having pain in my chest when I breathed again. The following day I could only breathe very shallow breaths and the pain was much worse when I tried to breathe regularly. I could hardly walk from sob. My surgeon and cardiologist were both away but my cardiologist’s office had an acute care center and I was seen. My O2 sats were in low 90’s and after an Echo the covering cardiologist said I had moderate Pericardial Effusion and bilateral Pleural Effusiions caused by the surgery and an auto immune response from the cells leaking when they opened the pericardium. He prescribed Colchicine which I was just able to start tonight because of insurance issues. Today I had pain with every heartbeat as well as breathing and am extremely short of breath. When I told the office they said if I didn’t feel better by Monday to call back. I am looking for guidance such as when should a person with my diagnosis and symptoms go to the ER? How would I know? I would feel awful wasting a doctor’s time just to be told the same thing even though I was in a lot of distress. My surgeon didn’t close the pericardium so unless it heals back together I am confused how I have an effusion? How come my lungs are involved? Why is this continuing so long? Should I have had an Echo sooner as a routine check on my new valve function? With it being 9 weeks since my surgery is it common for this to still be happening? Should this be a concern? Is the decision to drain the fluid dependent upon the amount only or are their other parameters considered? and I have had bouts of hiccoughing the past 2 weeks when I rarely do. Is this from the fluid in the pleural space? Your symptoms and tests suggest pericarditis and the initiation of colchicine reasonable in terms of symptom management. In general one should not commonly get an effusion after surgery however it can happen and in general should be characterized. Its important to rule out collection of blood especially if one is taking blood thinner. In this case i would typically obtain an echo and a CT scan and ensure timely review by the surgical team. In terms of should you go to the er this can not be answered over such a forum, rather if worried seek help and don’t worry about wasting anyones time.